We have had much discussion here lately about the proposed budget cuts. Many bloggers have made reasonable requests, backed up with data, asking for reductions to central office staff, special and magnet programs and departments such as maintenance, security (we could quite possibly have too many police officers on staff), health and wellness, MIS, and instructional and graduation coaches. As one person shared, Ms. Tyson is not even considering putting the 80 Instructional Coaches ($7,5000000), 13 literacy coaches ($835,000), and 48 graduation coaches ($3,500,000) back into the classroom. That’s 141 teachers who don’t ever teach children, and they represent almost $12,000,000 in salary and benefit cost to DCSS. The consensus among parents, teachers and community members who have posted comments here has been – cut everything else to the bone before you start hacking away at classrooms! Our alarm bells were first set by learning that a proposal has been floated to increase class sizes as well as demand that high school teachers on the 7-period day teach 6 of 7 periods, rather than 5. (For an in-depth discussion on this, visit this link.) Beyond that, cuts have been proposed to parapros, who help teachers tremendously in the classroom as well as media specialists – a vital member of a teacher’s support team. We’ve had several discussions on the costs of the magnet programs. One more interesting topic to visit is the fiscal ROI of the Fernbank Science Center. Here are some interesting numbers regarding the Center, which some feel should be privatized. One of our regular contributors compiled the following research to share with readers. Give us your thoughts. Where can we best cut in order to save the classroom teacher? All of Ms. Tyson’s proposals include a decrease in Fernbank Science Center Funding of only $104,000. That is a mere drop in the bucket compared to the cost of the center. Only 45% of Fernbank Science Center personnel teach while 55% of Fernbank Science personnel are support and admin. 2. Physical Plant – year round heat and air, air, lights, electricity for equipment, science equipment purchase, installs and repair, animal supplies, plants and greenhouse materials, office supplies, computer replacement parts, general building maintenance, etc. 3. Transportation – Bus transportation for the students who come to Fernbank – transportation costs are huge. The costs for bus drivers and gasoline may run into the millions. Fernbank trips are probably the single highest contributor to bus driver extra pay cost. Interesting fact about the 33 part time teachers. 13 of the part time teachers are from McNair Elementary. FSC is a McNair ES partner. No doubt this has been a good partnership for both Fernbank Science Center and McNair ES. Fernbank Science Center probably costs at least $7,000,000 to $8,000,000 a year. It may very well cost considerably more when all transportation costs are figured into the total. An interesting note on the salary schedule is that the Director of the Fernbank is paid $12 more than his highest paid employee who is paid $98,556 . My understanding is that SACS only requires this pay variance or “bump” to happen within schools. Please note the heading of the DeKalb County School System Consolidated School Improvement Plan 2006-2007 states that “Fernbank Science Center does not function as a school and is not required to complete all sections of the DCSS Consolidated School Improvement Plan.” So apparently the DCSS does use the SACS rule of supervisors making more than their highest paid employee even outside of the schools. This seems a luxury we can no longer afford and obviously could not all along. $7,000,000 (an extremely modest estimate of running FSC) would furnish our classrooms with 123 Science teachers with Masters degrees and 3 years of experience (Assuming $45,456 for a Masters Level science teacher with 3 years of experience – plus 25% benefits for total of $56,820). 123 superbly qualified science teachers would go a long way towards helping our students increase their achievement in the area of science. DeKalb Schools can no longer afford to support Fernbank Science Center. The budget situation is going to last a very long time, and it won’t allow for the extras that Fernbank provides even if they are great extras. The pupil to teacher ratio in the regular science classroom is very dire and getting worse. Perhaps the safety issue is why DeKalb Schools has said that science teachers are under no obligation to conduct science experiments. Science teachers are allowed to have alternative learning experiences. Most parents and all students and scientists would say that conducting experiments is the heart of science proficiency so our teachers are already facing that Hobson’s choice. 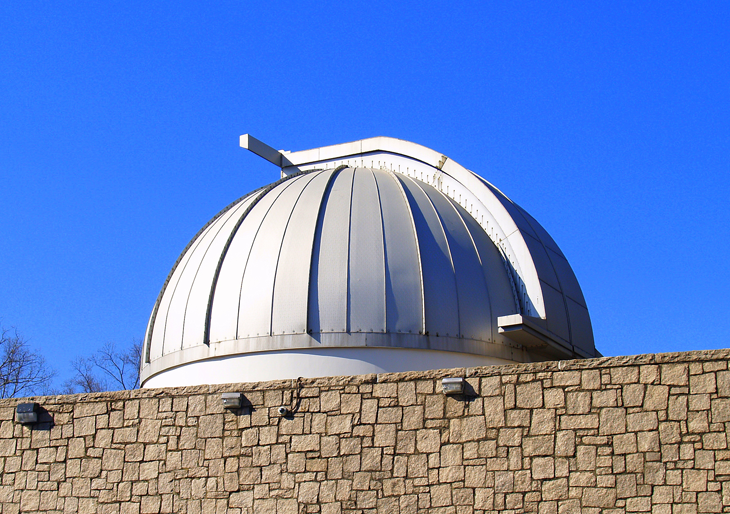 The funds spent on Fernbank Science Center should be redirected back to science teachers in the science classrooms in DeKalb. This is the most efficient way to make the most DeKalb students proficient in the subject of science. Day after day after day of consistent science instruction for thousands of students is the only way our students can get a basic understanding of science, let alone make AYP, the only measure that the state of Georgia uses to assess a school. If we cannot afford the basics, then how can we afford the extras? Although I do believe Fernbank Science does not belong in the public school realm, I would not like to see Fernbank Science Center closed. It is a wonderful community resource. I do believe it should be seeking other funding, perhaps grants and/or combining with the Fernbank Natural History Center. The time is now – the board and Ms. Tyson need to take a scalpel to the budget and fine tune the cuts – deleting first those line items that do not directly effect the classroom. After all, without a classroom full of children, there is simply no need for a school at all. Although FSC is a wonderful commodity to have, DCCD is no longer capable of providing the funding needed to continue to support it. We are now at bare bones and are in all in support of FSC but we cannot always have what we want. What we need and must do is educate in the schools 1st. Some other resource must be used to keep the center operable. Sadly, DCCD must cut ties otherwise the entire school system will sink. This is a FACT.